"It is a gel type cleanser which effectively removes makeup wastes from your face without leaving any stickiness. This is an oil free cleansing gel which only contains tea-tree oil. It keeps your skin fresh and transparent after washing." 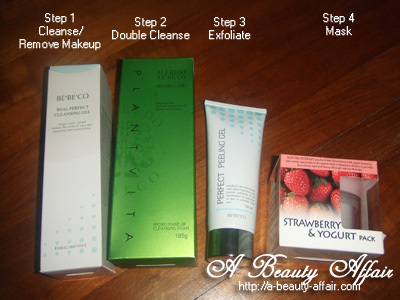 This product not only removes makeup but also cleanses your face too. I like its light-weight gel texture which is very gentle on the skin. It cleanses well and left my skin feeling soft and smooth. "Bebeco Plant Vita contains natural plant extracts of vitamins A, B and C from Jojoba, cucumber and wild plant which play an important role in smoothening and tightening the skin, making the skin smooth and soft, and enhance moisture absorbent capability of the skin. As this series also contains Vitamin B, E and the ceramides in nucleic acid, it is very effective in supplying sufficient moisture and skin nutrients to protect the skin, prevent inflammatory and bacterial growth and hence, very suitable for sensitive skin. By providing sufficient moisture to dull skin, this product also prevents skin aging. Together with chitosan, natural sugar ester, plant Vitamins A, B, C, D, E, F and plant collagen, this product is extremely effective in rejuvenating the skin, making it young and beautiful." Other than the cleanser, I also got to try out their Plant Vita Hydro Skin (toner) (S$38.90) & Plant Vita Hydro Emulsion (S$38.90). The texture of the cleanser is rather creamy and the smell was refreshing. It felt kind of familiar but I just could not recall what scent it was. After massaging gently, I rinsed off and my makeup was gone. My skin felt soft and smooth but I always double cleanse to ensure that all traces of makeup is washed off. I think this is a decent cleanser and it being able to wash of makeup is also plus point for me. Next, I tried the toner; a light liquid that was quickly absorbed by my skin after patting for awhile. I think the Plant Vita's scent reminded me of a mild version of Davidoff's Cool Waters. Actually, most of Bebeco's products come with similar scents. I followed up with the emulsion and I really like its texture. It was very light, easily absorbed and did not make my skin feel heavy or sticky. My skin also felt instantly moisturized and supple to touch. 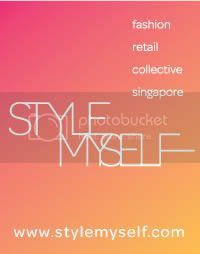 I really love this product! "Bebeco Perfect Peeling Gel contains extracts of ginseng and gingko leaf which leaves the skin with an unique feeling. It is suitable for healthy skin as it is easily absorbed into the skin with gentle massage. Containing extracts of rice bran, this product results in smooth and silk-like skin texture as it controls keratin effectively which is the cause of tough and sordid skin. With aloe extract and dipotasssium glycyrrhizate which possess outstanding skin sedative effect, this product is suitable for sensitive skin." This product works the same way as the Cure Aqua Gel but it's so much more cheaper! =P You apply it on your face and then massage it till little whitish bits form, it will remove dead skin cells and dirt to reveal a clear and smooth complexion. It is advisable to exfoliate at least twice a week for brighter skin. Pore packs may remove blackheads fast but they also enlarge the pores with increased usage. 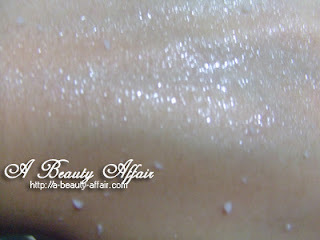 Hence, it is recommended to use an exfoliating gel like this Perfect Peeling Gel. Those who find the CURE aqua gel too drying or harsh should try this as I feel that it is more gentle on the skin. "Bebeco Strawberry & Yogurt Pack nurtures your skin soft using strawberry extract share butter, a derivative of Vitamin E. Vitamin scrub is melted into skin when you massage with this product, to provide moisture nutrition to your skin, making it soft and supple. As a wash-off type pack, fresh flavour of strawberry yoghurt refreshes your skin while yoghurt extract keeps stressed skin balanced, nurturing it glossy and vitalized. Suitable for all skin types when used twice or three times a week to sustain clean and clear skin. Especially effective for dry and dehydrated skin. Use twice or three times a week to sustain clean and clear skin. Effective on dry and dehydrated skin. 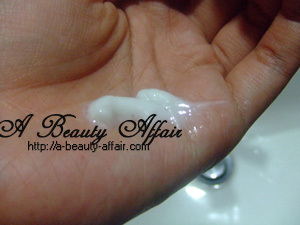 After washing your face before using toner, scoop a commensurate amount and apply evenly over your face. Slightly massage until red granules are completely absorbed. Leave for about 10-15 minutes according to conditions of your skin. Wash off with tepid water." It recommended that I place this in a refrigerator prior to using for a cooling effect. This is one of my favourites because the strawberry yogurt pack smells so good and yummy. It was a great pampering treat for my skin as it helped to restore lost moisture. For those plagued with acne, you can try their AC-T-LINE which has received many positive feedbacks from their loyal customers. 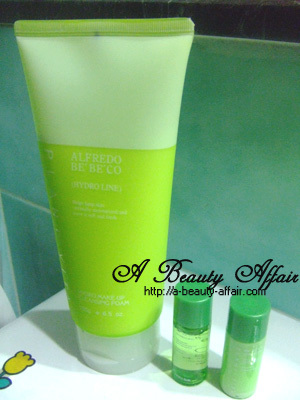 According to Bebeco, the AC-T-LINE product series is specially developed for troubled skin care and prevention. It removes dirt and foreign particles from the face. Containing Sepicontrol A5 and Cosmacol EMI, this product is effective in preventing glossy and sticky face texture by controlling excessive sebum and inhibiting effectively sebum secretion. As it also contains Papaya extract and low-irritant vegetable ingredients, it keeps the skin transparent by removing the thickened foreign substances, relieves skin troubles and inflammation, prevents irritation of scars and improves the skin to be even and smooth. Also, it effectively prevents skin troubles because low-irritant vegetable ingredients and Phycosaccharide Anti-Acne ingredients act as Aromatherapy which penetrate quickly and deeply into the skin. It also contains ingredients of Actilirm TS, Moistfine Liquid and Cosmacol EMI which makes skin elastic, moist and healthy. gives. When I applied on those outbreaks, generally, I realised 2 different reactions. Either the head of the pimples and acnes appear or those hidden acnes underneath the skin flatten off. This is truly amazing. I will then continue applying the controller on those areas with the head and after a few days, the pimples will dry up and subsequently peel off. Another interesting product to look out for is their Alonique range which targets women with anti-aging concerns. It contains state-of-art Nano Liposome Technology, which optimizes absorption of active ingredient into the skin. NANO LIPSOME – A new nano capsule engineering technology that encapsulates patented anti-wrinkle substance, adenosine, into Nano Liposome (100-400nm) and promotes effective absorption into your skin to create a wrinkle free texture. Containing 4 botanical compounds, Glycine Soja (Soybean) seed extract, Chlorella Vulgaris extract, Centella Asiatica extract, Suffruticosa root extract and patented anti-wrinkle substance, Adenosine, ALONIQUE PLUS WRINKLE CONCENTRATE CARE is a truly functional anti-wrinkle skin care, protecting and revitalizing the skin, improving skin appearance and reducing fine-lines. With its rich texture and smooth finish and aeration formation, ALONIQUE PLUS WRINKLE CONCENTRATE CARE provides the essential moisture every skin yearns for, making it a high performance skin care products. I was given the Alonique Plus Wrinkle Hydro Essential Skin (toner) (S$59.90) & Alonique Plus Wrinkle Hydro Pure Emulsion (S$59.90) to try out. The texture is creamier so if you are still in your 20s like me and think that anti-aging products may not have much effect on your skin or are too heavy for yourskin. Then you might consider using this for night especially so if you sleep in an air-conditioned room. Your skin will be kept sufficiently hydrated with the emulsion. Though both toner and emulsion are much richer in texture, they are quickly absorbed into the skin, making the rest of your skin care products such as sunblock and BB cream easily absorbed subsequently. And I'm real excited to share that a new range; Alonique Whitening Super Aqua will be launched pretty soon. I have sampled the toner & emulsion, and this is another range to look out for. "Men Triple Skin Essence is a 3-in-1 skin care product especially developed for men. It combines skin, emulsion and essence in a single product which provides excellent whitening effect and brightens dull or imperfect skin. It supplies nutrients and uplifts rough and dry skin due to environment stimulus and stress, making it soft, smooth and tight. Containing Arbutin, a bearberry extracts, this product inhibits the activity of Tyrosinases thereby inhibiting formation of melanin, the main cause for skin pigmentation. As such, it alleviates the cause of pigmentation and hence, removes imperfection from the skin surface, making the skin translucent and white. Arbutin is safe to the human body and does not result in any side effects. Containing Double Snow No 12 - A special natural concentration made from 12 Types of Plant Extract that is capable of inhibiting up to 80% of Tyrosainase activity. It can also prevent skin aging caused by Free radical." I tried out the 3-in-1 essence which is one of their hot sellers and now I can understand why guys love it and even women are using it too! The fragrance for this is stronger, smells like Davidoff's Cool Waters and will be great for guys who want to skip aftershave cologne. Being a 3-in-1 toner, emulsion & essence product means a hassle-free and effortless skincare regime. This will definitely come in handy at nights when I am really too tired to follow up with toning and moisturizing. Some ladies might not be used to the strong scent but if you like Davidoff, then it should grow on you. I used it at night only and found that it did provide sufficient hydration for my skin. After application, it doesn’t feel oily and the matt and cooling feeling is definitely very impressive. Many guys might think that they do not need to use any skincare products and some even just use plain water to cleanse their face. However, our skin is the largest organ and also vital when it comes to giving people first impressions. I am sure we all would prefer a clear and clean complexion as compared to one that is full of acne or dull. Prevention is better than cure, I strongly recommend that guys start taking care of their skin. It is really never too late to start. And this Bebeco's Homme range is perfect to begin with, especially with its 3-in-1 essence that reduces your daily skincare regime from 3 steps to just 2 simple steps. 2) Apply the Bebeco Men Triple Skin Essence on clean, dry face and you're done! See, it's as simple as that! And it probably won't take more than 10-15minutes of your time a day. Surely that little amount of time spent daily is worthwhile for clear & moisturized skin. Labbit: Yes indeed, over scrubbing is bad too!